Toradex announced that it has opened early access for selected customers to its new Apalis iMX8 System on Module (SoM) based on the NXP(r) i.MX 8QuadMax SoC. Companies interested in working with this cutting-edge Hardware and Software are invited to sign up for the Toradex early access program to receive more information about the requirements to join the program. Toradex announces its latest embedded computer based on the powerful CUDA(r) capable NVIDIA(r) Tegra(r) K1. This new embedded computer or System on Module (SOM) will further extend the portfolio of Toradex's ARM(r)-based SOM families. Apalis TK1 is ideal for building high-end embedded products, which needs advanced performance or supreme graphics, along with high-speed connectivity interfaces, mostly targeting applications in vision, and GPU-accelerated parallel processing. Toradex is pleased to announce a new member of its System on Module (SOM) product line based on the NXP i.MX 7 series applications processors. The processors offer an excellent performance/power ratio, advanced security features, and a heterogeneous multicore architecture based on ARM(r) Cortex-A7 and Cortex-M4 cores, which make the platform a perfect fit for products targeting the rapidly growing IoT market. 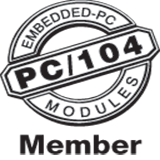 Toradex is pleased to announce the availability of a Technical Preview of Windows 10 IoT Core on an ARM-based System on Module (SOM). The Technical Preview is designed to test and evaluate the new features of Windows 10 IoT Core on an industrial grade embedded computing platform. To kick start the evaluation, Toradex offers a Starter Kit for a limited time at a promotional price. The kit comes with a Colibri T30 SOM and Iris carrier board plus required accessories. Toradex is pleased to announce its new initiative: Hardware Partner Program. The intention of this program is to offer Toradex customers an ecosystem of third party hardware that is compatible with its ARM(r)-based System on Modules (SOMs). Currently, the program includes Carrier Boards, Carrier Board and Display combos, and Panel PCs. Toradex's extensive free design resources and service partner network make it fast and simple to create a customized carrier board. However, off-the-shelf solutions may be more desirable in cases where especially fast time-to-market and low development cost are required. The new Hardware Partner Program supplements Toradex's own Customized Single Board Computers offering and further expands the off-the-shelf solutions that are available to its customers. The announcement of Freescale's i.MX 7 processor has created a lot of excitement here at Toradex, a leading vendor of ARM based Computer on Modules (COMs). Toradex will be among the few hardware partners showcasing a platform based on the i.MX 7 processor, during Freescale's official launch of the same, early next year. Toradex, today announced the bi-annual winners of the Toradex Embedded Design Challenge, the global design competition for students and technology enthusiasts. Over the past one year, the Toradex challenge program has empowered students all over the world to realize their dream by helping them convert their product ideas into reality. The winners were announced at the felicitation ceremony at Toradex's headquarters in Horw. Toradex - a world leading provider of embedded computing solutions based on ARM(r) CPUs - today announced Viola, a new open source concept for ultra-low cost customized single-board computers. Combined with Colibri VF50 COM, a Freescale(r) Vybrid(tm)-based Computer-on-Module, a Viola based single-board computer starts at $55.00 for 1K units ($69.00 single unit price) and offers a very interesting set of functions for numerous embedded applications.